On May 2, 2011, the alarming news of the death of Osama bin Laden spread like an electromagnetic wave all across the world. The world’s most notorious symbol of evil and the mastermind of the Sept 11, 2001 terrorist attacks was finally brought to justice. Despite the division that so easily saturates the consciousness of America, it was indeed a moment of unity as Americans complimented the extraordinary efforts of the Navy Seals Team 6 that carried out the assignment of bringing down bin Laden. It’s been a year since this has occurred. What exactly does this mean? Undeniably, it is a feat of accomplishment for the Obama administration. The courageous and disciplined call from President Obama to order the military to carry out the assignment is something that needs to be applauded from all sides of the political spectrum. And, it is important to point out that President Obama benefited from using elements set in place by his predecessor, George W. Bush, such as enhanced interrogation techniques. One of the biggest questions looming in the mindset of many is this: Is America any safer since the death of Osama bin Laden? This is very complicated and complex. As of right now, Al-Qaida is weakened and less organized. However, this does not mean that a legit threat against the sovereignty of the United States does not remain alive. It would be totally naïve and asinine for individuals to assume that the national security interests of the United States are no longer targeted. As long as the United States promotes freedom and liberty, it will be a constant target to our enemies and those who seek to bring an assault on our freedoms. 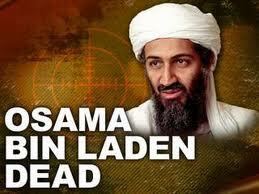 Another complicated matter is where Osama bin Laden was captured—Pakistan. It calls itself an ally of the United States, but their reluctance to inform the U.S. that bin Laden was hiding within their borders and their sour response to his capture have raised many questions about their validity as an ally and if they are indeed a state sponsor of terrorism. The death of Osama bin Laden was an ideal symbolic victory in the War on Terror, and may have provided a sense of closure for the families of the victims of 9/11. However, it all ushered in an era of uncertainty. We do not know what the next move is. We do not how, or if, Al-Qaida will retaliate. There is a fear that another terrorist leader will rise and attempt to carry bin Laden’s torch and carry out his unfulfilled goals. One year later, the resolve of the American remain strong. We are prepared to meet any threat to our sovereignty with a strong military force and community of individuals prepared to defend freedom. In 2012 and the years to follow, the capture and death of Osama bin Laden will serve as a kind, yet firm, reminder that good can prevail over evil and that the inhumane acts of those who live in darkness will never substitute for those who reject tyranny and oppression.